With seemingly the entire planet in mourning at the news of David Bowie’s tragic passing, it seems fitting to honour and recognise the influence the Starman had on who and what we love in present day. Whilst it may not be obvious at first glance, Bowie’s impact on pop culture and music makes it fairly evident that the record industry we are familiar with today wouldn’t be the same, with artists and musicians alike praising the influence of Bowie in their thousands. Whilst compiling a list of all the artists expressing Bowie’s impact would take a sheer age, the following are the established, often surprising acts that we’d be without had Bowie’s extensive and utterly fabulous career never been. Madge accepted Bowie’s Rock and Roll Hall Of Fame Induction Award back in 2012, beginning with the short and simple, “He changed my life.” The entire speech was an honest homage to the artist, expressing her adoration and explaining Bowie’s influence on her own music. Whilst they’ve always been in two completely different leagues musically, the perverse and out-the-ordinary themes they express and stand by shows a connection between the two and the influence he’s had on Madonna over her career. 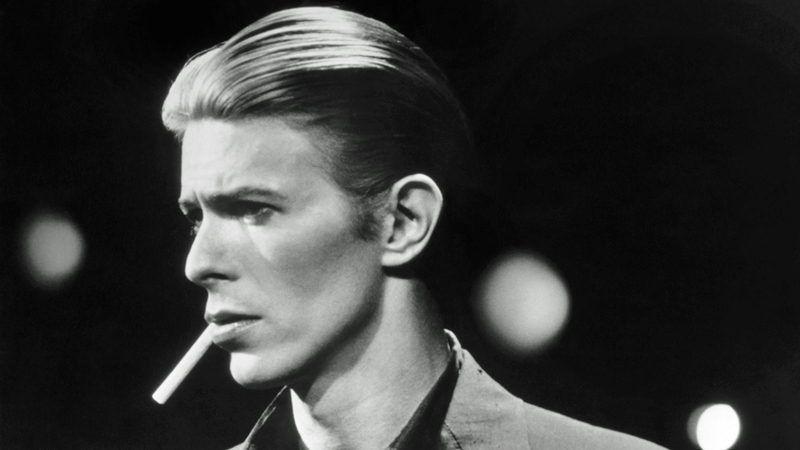 Simply put, there’d be no Nirvana if there were no Bowie. Cobain’s younger years were influenced hugely by Bowie, stating that his 60s and 70s releases had a great impact on his teenage self. Their infamous cover of Man Who Sold the World is as equally important and prestigious as the original, with Bowie himself express his desire for a Nirvana collaboration at the time. A fairly obvious one; Ms Germanotta is a self-confessed Bowie die-hard. She infamously donned the lightning stripe face paint towards the start of her career and has since stated countlessly, “He runs my universe”. A bold statement, perhaps, but we wouldn’t have Gaga’s outrageous fashion sense had Bowie not played the prominent part in her life that he did. It’s always difficult to determine the musical influences that have fed into Kate Bush’s work over the years. Since her back catalogue varies vastly in genre and style, along with the habit to discuss her on influence on others as opposed to the influences on her, it’s tricky to work out if we would or wouldn’t have Kate Bush at all if we never had Bowie. One thing that can be questioned is whether the public would really have “got” Kate Bush if Bowie hadn’t been around prior. We’re all fully aware that if there were an award for the Queen of obscurity, Kate would nab it. But had Bowie not carved the way for the abnormal through the sheer intrigue around his music, fashion and media presence, then it’s understandable to consider that us Brits may not have clocked to Bush. Bush’s long-time professional partner Del Palmer has stated that both he and Bush were at the final Ziggy Stardust tour date at Hammersmith Apollo, the “show that everyone claims they were at”. Maybe Bush had been wildly influenced by Bowie’s outlandishness or maybe it trod its own insane course, but the public’s reaction to Bush would have been questionable had Bowie not dared to step out of the many, many boxes he did. Not only were David Bowie and Robert Smith close friends, Smith spent many an interview stating his adoration of the musician. Describing Bowie’s Low LP as the greatest ever, he also claimed that no other album has influenced him in the way that aforementioned record did. Their joint onstage performance below proves the musical connection they share and the undoubtable impact that Bowie had on Smith. A strange one, but bear with us here. Manson has stated his sheer adoration for Bowie on countless times, referencing him in many an interview and playlist curation. “It was a great inspiration to me on Antichrist Superstar.” Plain and simple, even if it’s not so obvious.